WiGig – new generation WiFi? Just when we got used to all the pros and cons of WiFi, a new contender we don’t know much about yet, appears on the horizon. Let’s look at the strengths and weaknesses of WiGig. WiGig is another wireless standard just like WiFi, but in spite of this there are some significant differences. WiGig’s range is considerably closer than WiFi, won’t easily reach past 10 metres and doesn’t particularly like to go through walls. So why would you want to use it? WiGig is fast, faster than the Wifi we’re used to. It operates on a much higher frequency (60GHz ) than traditional bandwidths and mobile signals and can deliver speeds of up to 7Gbps. lewer. However, as soon as your devices are further away, speed performance decreases rapidly. Experts therefore recommend that WiGig be used for home entertainment systems, tablets and home pcs and in addition to your existing WiFi connection. If energy saving is important to you, you can consider WiGig with a clear conscience as it’s been designed as a low energy alternative. It also claims to use five times less energy than WiFi and radio signals are set up to avoid congestion and send signals directly to it’s goal. 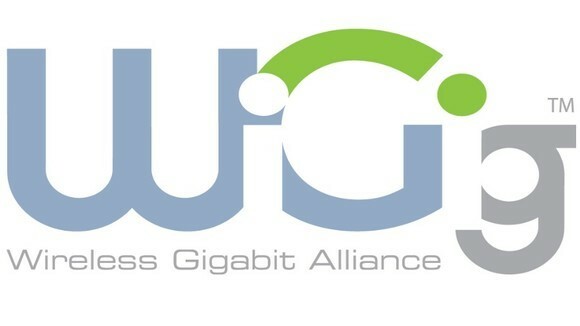 WiGig was established by the Wireless Gigabit Alliance, which included members like Broadcom, Cisco, Intel, Microsoft, Dell, Nokia, Toshiba, Qualcomm, NEC, Panasonic and other large corporations. At the moment the WiGig standard is currently going through various certification programmes, but according to estimations these will be completed by the end of 2013. Posted in Connectivity, Internet | Comments Off on WiGig – new generation WiFi? In a previous post we gave you some tips on saving your cell phone’s battery life and received such a positive response, we decided to continue with a follow-up. The demand and expectation to be available and connected at all times, is constantly increasing. However, few things are as frustrating as having to make an important call or send an e-mail and our phone suddenly dies on you. A dead cell phone battery is inevitable, but you can take small measures to ensure that it does last a little bit longer. If any of these functions are activated by default they will constantly try to connect to any available service or device in the area. If you do need to be connected all the time, disable them and connect when needed. Do you really need a bright back light on your screen in the middle of the day? Your phone needs energy to generate the light and the brighter the screen, the more battery life you sacrifice. Rather set the light less bright. Sure, it’s very cool having all the latest apps giving you all sorts of information. Just keep in mind that apps need a lot of power to run.Power you might need to make an important call. Using your GPS for checking in on Twitter or other social networks may be handy, but it will make a huge dent in your battery life. And when your GPS fails and you get lost, how will you make that call? Are you one of those forgetful people who has to reminded of every appointment and task on your list every hour? Notifications on cell phones are very handy, but putting your phone on vibrate and receiving regular notifications take up a substantial amount of power.